Ortrun is a Postgraduate Teacher of German and holds a Master of Arts in Anglo-German Literary Relations. Ortrun is a native German speaker and has extensive experience of teaching German to native English speakers. 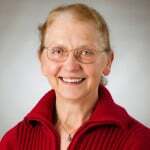 She is an expert in conveying the intricacies of German grammar to her students. She is based in Leeds.